Last year we started a new Toddler Approved tradition and kicked off December by introducing A Very Toddler Christmas Series featuring simple festive activities for toddlers all month long leading up to Christmas. I am excited to host this series again this year! The goal of this Christmas series is to do something simple with my toddler each day during December that is fun, builds our relationship, and gets us in a festive mood! Often my littlest one gets lost in the shuffle as we hustle and bustle to family events and school performances and parties. Last year I found that we had so much fun connecting with these simple activities and I really enjoyed the holiday season so much more! As part of our series we'll do crafts & learning activities, read books, and even do a few cooking projects. Every activity will be simple, have easy to get materials, and will be geared towards kids ages 2-4 though many could be adapt for younger or older kids. You can sign up for my daily A Very Toddler Christmas Newsletter below and get a daily email from me each morning (approx 6am EST) with one activity to do that day. I will also be sharing some activities on the blog and instagram (follow me at @kristinatoddlerapproved) throughout each week. You can do the activities along with me each day or save the emails and do the activities whenever you want throughout the month. Some activities will be classic ones that we do every year and some will be new activities we've discovered and want to try. All activities will be simple, age appropriate, and fun! If I get organized enough I will try and get you a materials list ahead of time for the week. The first email will arrive in inboxes on Monday, December 1st, so sign up today! The last email will be sent on December 23rd. 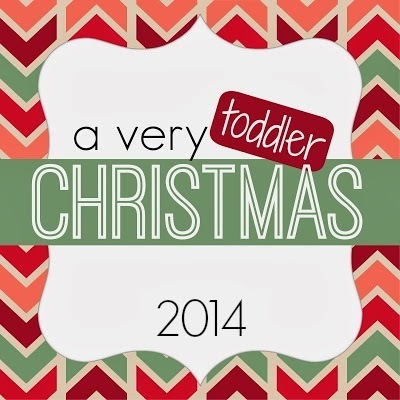 Don't forget to follow along with our awesome Christmas Sensory Play Series too. Oh, I'm very excited to see some of these crafts to try out with Ladybug. Thank you for this! Nicole the emails were sent out this morning at 6am EST. Send me an email with the email address you used and I can check into it. I don't currently see a "Nicole Nelson" signed up. So excited to follow along with my boys!